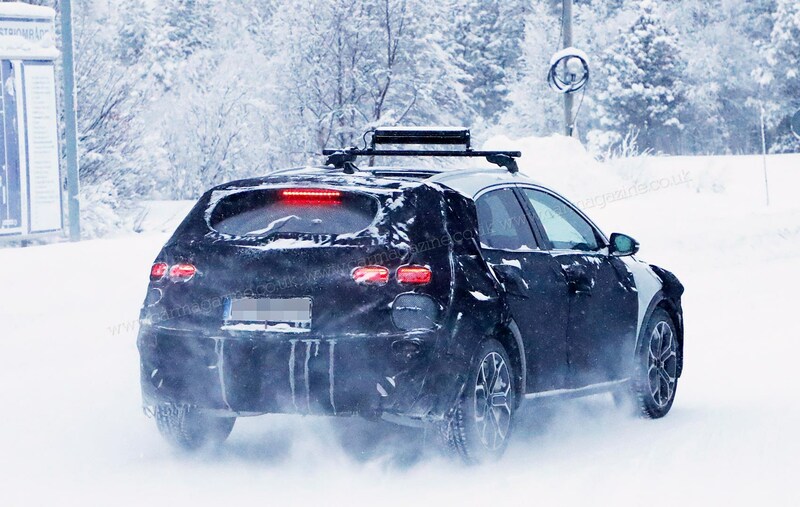 You're looking at a snowy prototype for the new 2020 Kia Xceed - a jacked-up, soft-roader based around the running gear of the Ceed hatchback with many of the accoutrements of the Allroad/Scout/Cross Country set beloved of Audi, Skoda and Volvo. It's a niche within a niche and the rampant Koreans are now hellbent on expanding into this slightly tougher area of the family car market, which continues to grow. 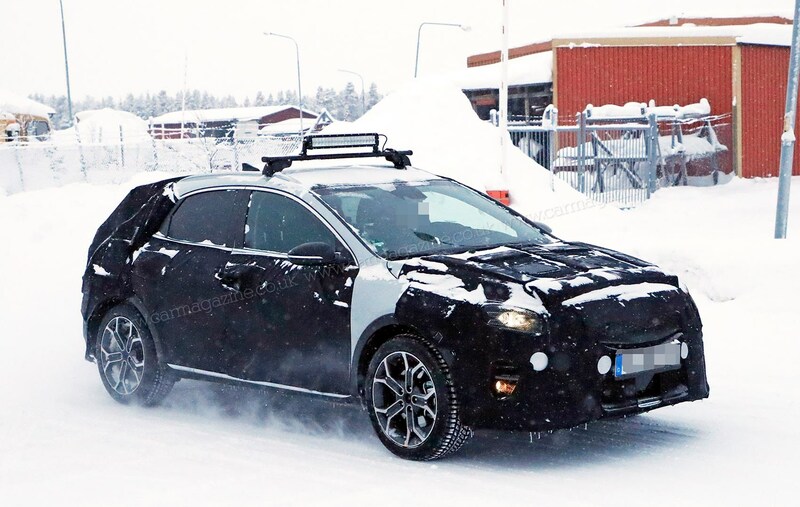 Our spies captured the new Kia on test in wintry Scandinavia, where it was being benchmarked against the VW T-Roc (just out of shot in our spy photos). So what's new on the Kia Xceed? Interestingly, the Xceed is more than just a tarted-up Ceed hatchback. We can see the usual body cladding, with plastic wheelarch extensions and what looks like a marginally raised ride height, but our spies report that the front and rear end are new - and even the greenhouse is different, with tweaked windows. 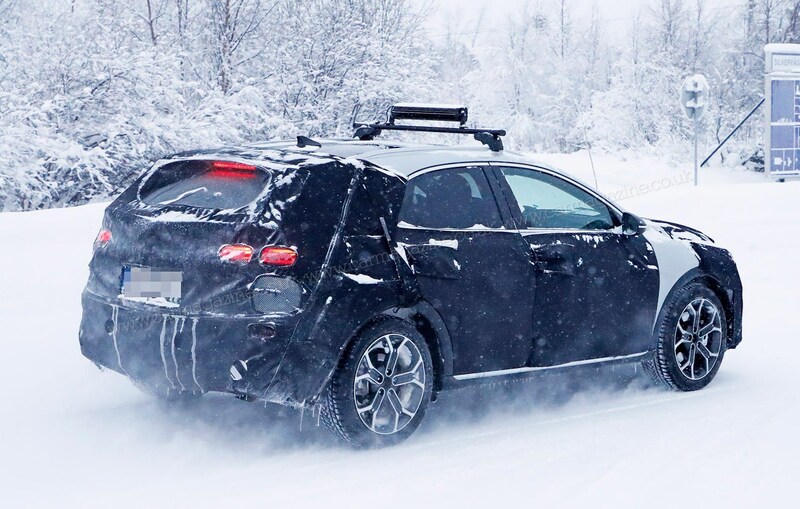 The intention is to give the fourth Ceed bodystyle more space and upright practicality than the mainstream hatchback and swoopy Proceed shooting brake. 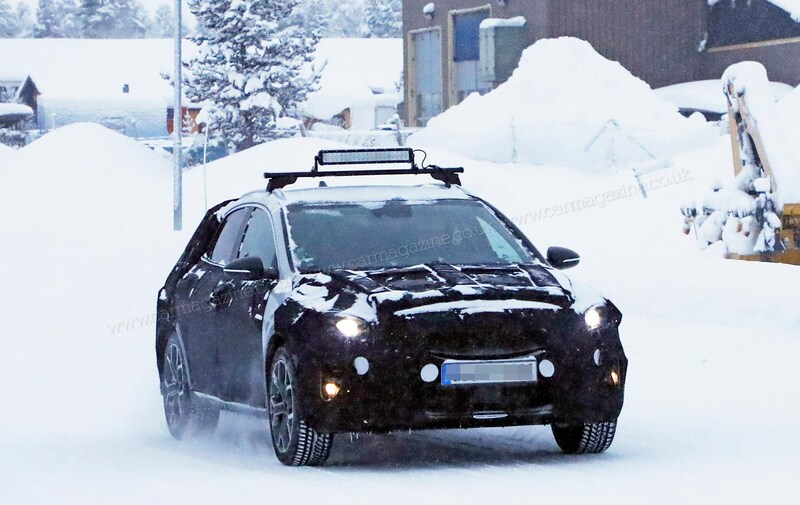 Conceptually, this Ceed-based crossover is pitched slap bang in the middle of the Kia Stonic and Kia Sportage ranges. 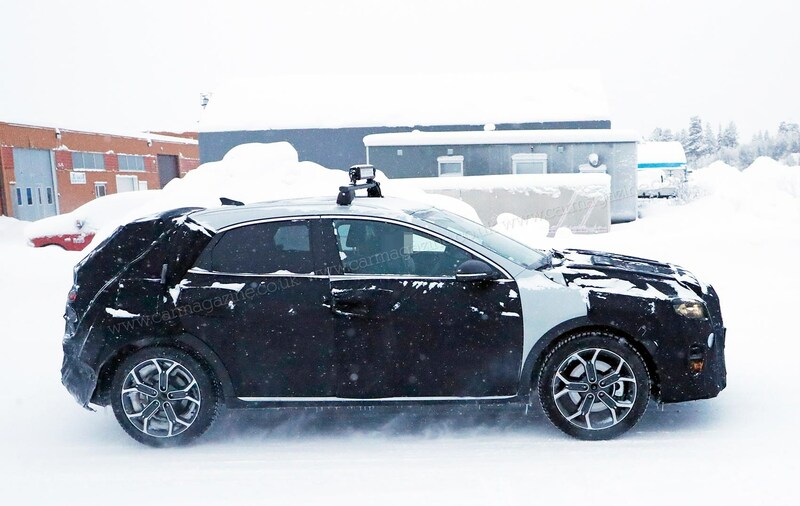 Think of it as a short-cut way to extend the brand's presence in the light SUV/crossover marketplace, without all the extra cost of developing a brand new standalone vehicle. When can I buy the Kia Xceed? Not just yet. CAR magazine understands the newcomer won't be at the 2019 Geneva motor show - instead expect to see it unveiled later in autumn 2019, probably at the Frankfurt motor show. The Koreans do like a good European world debut, see. That points to a right-hand drive UK launch in October/November 2019. Prices are expected to shadow the Proceed shooting brake's, topping out at around £28,500.